Two of road racing’s brightest young talents will again line up together at this year’s Classic TT presented by Bennetts with Dean Harrison and Lee Johnston riding for Black Eagle Racing. The ‘dream team’ will see the two 27-year olds on board fabulously exotic MV Agusta 3- and 4-cylinder machines. Both riders have enjoyed success on the machines in the previous two years, Johnston winning first time out in 2014. The County Fermanagh rider had his first taste of classic action at that year’s Classic TT and he had an instant impact, shattering both the lap and race records in the 350cc Okells Classic TT Race. The Northern Irishman, now based in Hull, set a new lap record of 105.239mph and he eventually ran out victor by a commanding 45 seconds to take his first win on the Mountain Course. 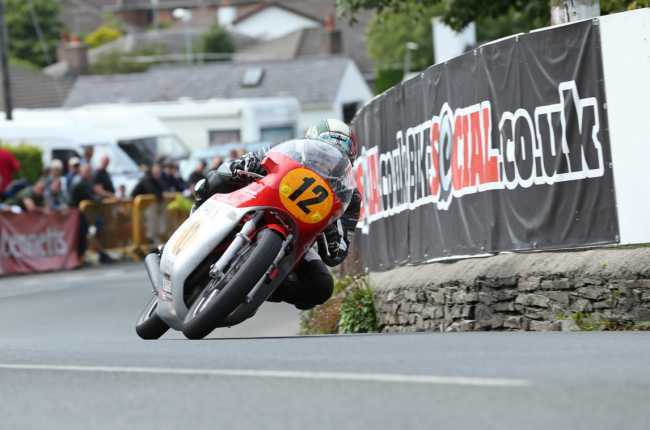 He returned 12 months ago and although he was out of luck in the 350cc Race, he took another podium, this time in the Bennetts 500cc Classic TT as he took third place with a best lap of 110.327mph. He’ll line up on the same three-cylinder MV Agusta machines this year, again contesting the Bennetts Senior and Okells Junior Classic TT Races. Harrison, meanwhile, was due to ride for David and Mark Kay’s team in 2014 only for injury sustained at the Ulster Grand Prix to rule him out. He finally made his debut for them at last year’s event and ensured it was an extremely successful one as he led the Bennetts 500cc Classic TT Race from start to finish to win by over 25 seconds. His fastest lap of the race was 110.463mph and with Johnston taking third, it was a superb day for the team. The Bradford rider also won the inaugural Formula Classic TT Race in 2013 and having enjoyed an excellent week at the TT earlier this year, claiming three podiums, he’ll be amongst the favourites for honours in August. Like Johnston, Harrison will campaign a three-cylinder MV Agusta in the Bennetts Senior Classic TT but will be on board the team’s exotic four-cylinder ‘fire engine’ in the Okells Junior Classic TT. Designer and Chief Mechanic Mitchell Kay, Mark’s son, who also fulfils the role of sales director, will prepare both machines. 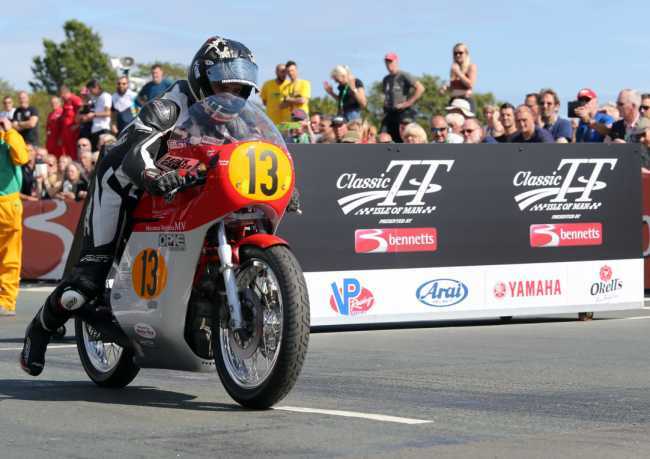 The mouth-watering line up will give Classic racing specialists Black Eagle Racing a terrific chance of success in both races and further emphasises their commitment and desire to succeed once more at the Classic TT.